Yes, that’s right, there’s another one of these!!! Yay! You may recall the mate to this one that I posted a couple of days ago. There were actually a set of two, and this is the second one in the set. 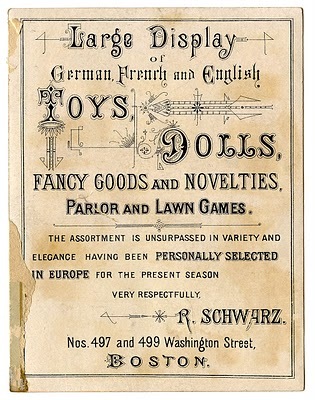 This amazing advertising card is also from the Boston Toy Emporium, this one is advertising Dolls, Toys and Novelties. When I look at these little cards, I can’t help but think of the amazing Wendy Addison. The ornate typography reminds me of her style! 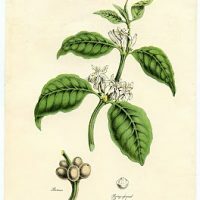 Antique Botanical Ephemera – Coffee Plant – Instant Art Christmas Monkey Freebie! Cute Christmas Presents Girl Image! Karen, this one may be an all time favorite! Merry Christmas to you and yours! thanks for always having such great images! I made Christmas cards from your pictures… you can see on my page. Thanks so much for your wonderful blog. This is fabulous Karen- and thankyou for posting the link to the ‘mate’ cuz I missed it! Very well made. I like the arrays of type set. This is my first time on your site and I’ve been looking at different ads and suddenly a SCHWARTZ ad!!! Eeeek so excited! 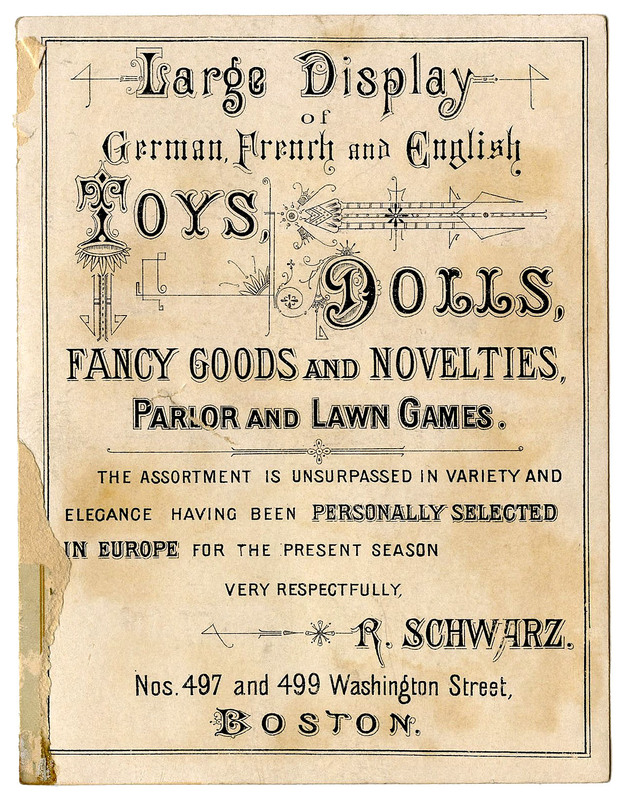 Schwartz toys have a special place in my heart.